In the 1860s the Republic of Paraguay, under its dictator, Francisco Solano López, and his Irish consort, Eliza Lynch, became engaged in a desperate seven-years war with its neighbours. The memoirs of a small group of British doctors and engineers provide the basis for this account of the struggle. L.G. Pine assesses John Horace Round: to the chronicles of family history he brought the acumen and industry of a great historian. Received by the King, blessed by the Primate and huzza’d by Etonians, Chief Tomochich's party was a model good-will mission. By T.R. Reese. Peter Dickson pores over the wreckage of 18th century England's most infamous financial scandal. Michael Grant offers the tale of Rome's most infamous emperor from both his fans and detractors. F.M. Godfrey describes how, during the fifteenth century, the courtly civilization of Ferrara gave birth to splendid works of art. Harold Kurtz continues the story of France's Napoleonic traitor. 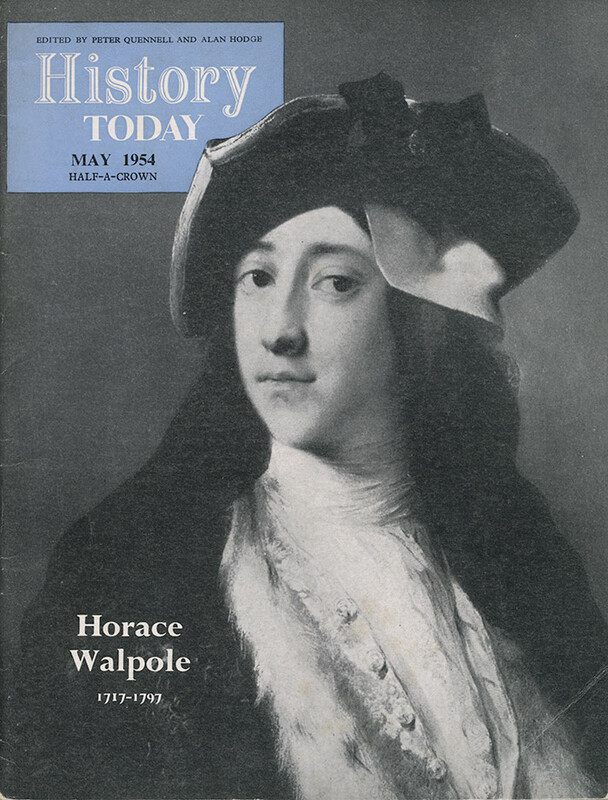 Ian Christie balances the skill and wit of Walpole as a writer against his shortcomings as a historian.